Dimensions 0.50 by 4.25 by 6.50 in. 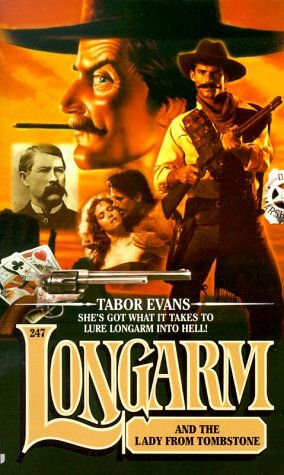 Lorena Webber asks Longarm to investigate love-'em-and-leave-'em con man Lester Twill, but the U.S. marshal's case becomes complicated when his lovely client turns up dead. Original. Amazon.com description: Product Description: The lady from Tombstone seemed like a bit of a troublemaker. But how could Longarm turn down such a pretty client? Her name was Lorena Webber, and she wanted Longarm to sniff out the dirt on a marrying con man. Longarm suspected the lady was lying--and soon enough she was lying--six feet under.